Create a unique and personalised Samsung Galaxy S8 Plus case. Choose your favourite picture and we will print it on all sides of the hard case. A case that protects the sides and back of your device from scratches and dents. The best way to protect your phone. 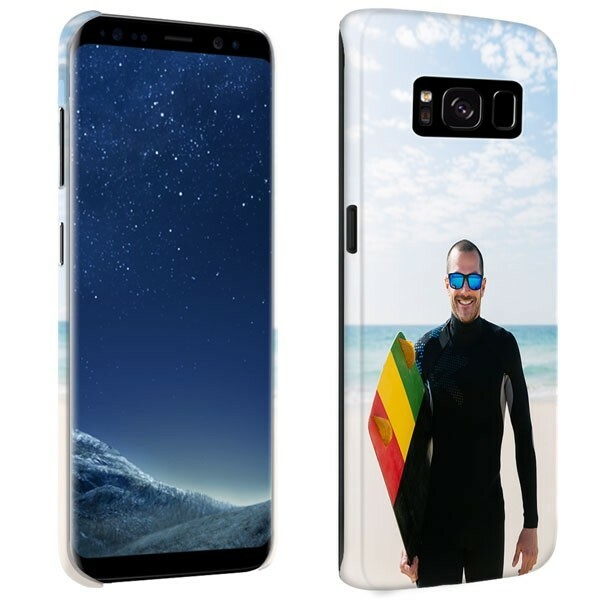 The personalised Samsung Galaxy S8 Plus case from GoCustomized is the best option if you have a unique or special design. Make your own personalised Galaxy S8 Plus hard case full wrap and get your case printed on the back and both sides! This allows you to stand out of the crowd plus giving the best protection to your new phone. Think about the design you would like to carry on your phone and create a personalised Samsung Galaxy S8 Plus case just for you! The case is made of a hardened, durable plastic which ensures your phone is protected against scratches and dents. Everyone wants their mobile to last as long as possible, so keep it safe with our personalised Galaxy S8 Plus hard case. How do I design my personalised Galaxy S8 Plus case? Personalising your Galaxy S8 Plus hard case is very easy! 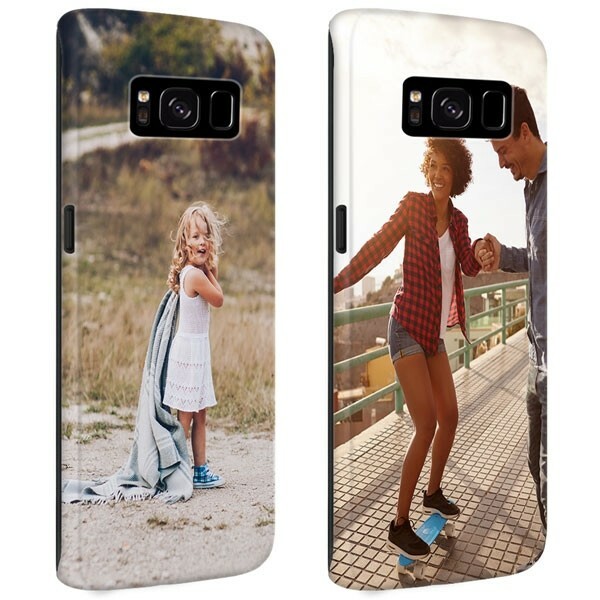 GoCustomized has developed for you a friendly design module with which you can make your own personalised Galaxy S8 Plus phone case in a quick and easy way. First, you can upload your favourite images from your from social media platforms, such as Facebook & Instagram, or from your personal devices. Once you have uploaded an image, you can edit it until you get the desired design. You can reshape and resize it however you please. Add a personal quote or text to make it more personal by using our text module. There are plenty of option, fonts and colours to choose from! Once you have finished customising your Samsung Galaxy S8 Plus hard case, we will start the production procedure as soon as possible! We want to send you your case as quickly as possible, but at the same time we do want to ensure the quality of your personalised Galaxy S8 Plus hard case. Everything we produce is made by one of our production experts. Every design is supervised to make sure that you will be pleased with the end result. Customer’s satisfaction is our first priority. If we find a problem with any of your personalised Galaxy S8 Plus case, we will contact you with the best solution. You can always contact us by sending us an email at support@gocustomized.co.uk. We ensure that your personalised Samsung Galaxy S8 Plus case will arrive soon!